Definition at line 465 of file face-uri.cpp. Definition at line 469 of file face-uri.cpp. Definition at line 475 of file face-uri.cpp. References ndn::ethernet::Address::fromString(), ndn::FaceUri::getHost(), ndn::FaceUri::getPath(), ndn::FaceUri::getPort(), and ndn::ethernet::Address::toString(). Definition at line 489 of file face-uri.cpp. 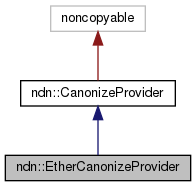 References ndn::ethernet::Address::fromString(), ndn::FaceUri::getHost(), and ndn::FaceUri::isCanonical().